The prelate, 76, died from a heart attack. He was found at his home by some priests. Famous for his mystical lifestyle, he eliminated the divisions among the priests of the diocese. He had been apostolic administrator and rector of the minor seminary in Faisalabad. 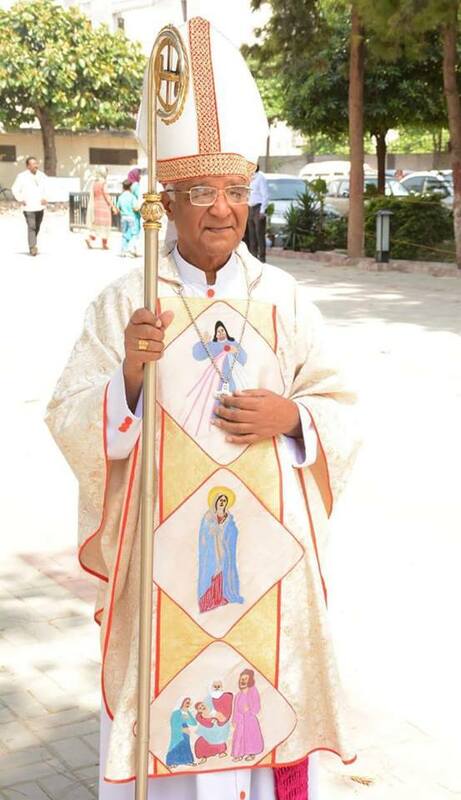 Lahore (AsiaNews) – Mgr Rufin Anthony, bishop of Islamabad-Rawalpindi, died yesterday of a heart attack. Known for his mystical lifestyle, the prelate, 76, was nicknamed "Sufi". Mgr Anthony was found at his home in Rawalpindi. Fr William Nasir, director of Diocesan Commission of Social Communications, told AsiaNews that some priests, alarmed by the bishop’s absence, broke down the door and found him dead. The bishop, Fr Williams explained, had just returned from a number of pastoral visits in the north of the diocese (north-eastern Pakistan) related to Marian pilgrimages. The bishop “always lived by his motto of 'uniting all'. Thanks to him there are no more lobbies or distinct groups of priests in our diocese." Born in Khushpur, the largest Catholic village in Pakistan, Mgr Anthony was ordained priest in 1969. He served as spiritual director at St Pius X seminary in Quetta and as a professor at the Major Seminary of Christ the King in Karachi. He later served as national director of the Pontifical Mission Societies, rector of the minor seminary of St Thomas the Apostle in Faisalabad and than as rector of the major seminary in Karachi. He was ordained bishop on 21 September 2009 in Rawalpindi. On 17 March 2012, Pope Benedict XVI appointed him apostolic administrator sede vacante et ad nutum Sanctae Sedis for the diocese of Faisalabad. Funeral services are scheduled for tomorrow at 10 am at St Joseph Cathedral in Rawalpindi, in the presence of Archbishop Ghaleb Moussa Bader, apostolic nuncio in Pakistan, and four bishops.